Select items from Michael Rosen’s NSFRE and AFP swag collection. That is only part of my collection. For years, my wife has wondered why I haven’t thrown away this stuff; now, she knows. This brings me to you. I’d like to know if you have any old NSFRE or AFP swag as well. If you do, please tweet a picture of it with the hashtag #NSFREswag and/or #AFPswag. I think it might be a bit of fun to see what you’ve held on to. I hope you agree. While it’s gone through a number of name changes, AFP was founded in 1960. Over the decades, the organization has grown significantly. It is now an international association with over 33,000 members. 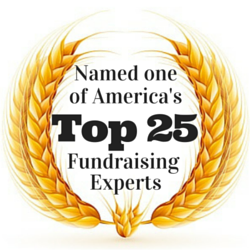 You can learn more about AFP’s history by clicking here. For free, you can read my current article in Advancing Philanthropy, the official AFP magazine, by clicking here. Next week, still in keeping with the Halloween spirit, I’ll share a fundraising horror story along with some helpful tips so you can avoid making the same mistakes. To be one of the first to read my future posts and to receive a free ebook from philanthropy researcher Dr. Russell James III, JD, CFP®, be sure to subscribe (at no cost) to my blog in the right-hand column. Finally, I want to take this opportunity to thank AFP for the memories and for the help and inspiration over the decades. UPDATE (Oct. 22, 2018): My wife is ready for me to get rid of the ancient NSFRE/AFP stuff that I no longer use. Actually, she’s been ready. But now, she’s really interested in doing some long overdue house cleaning. 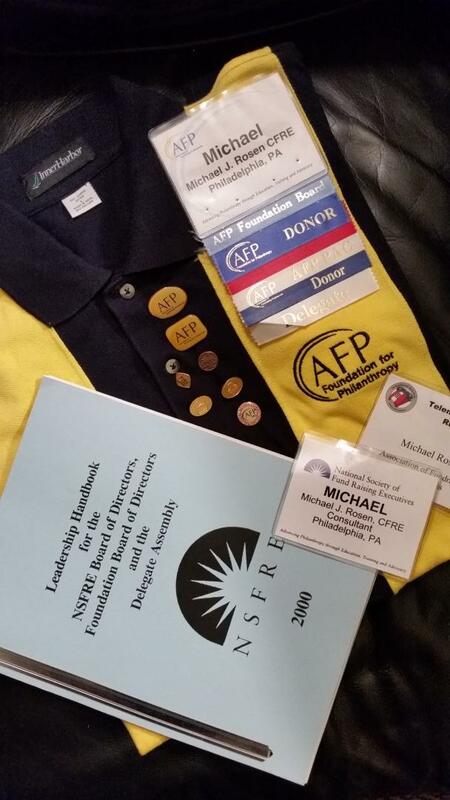 So, to minimize what goes into the landfill, I thought I’d offer up my never-worn, good-as-new vintage AFP shirt (as seen above) to the first person who let’s me know that they’ve made a new or increased gift of $100 or more to the AFP Foundation. The official AFP rugby shirt could be yours, along with the satisfaction of knowing you’re supporting educational programs, scholarships, research, and more! 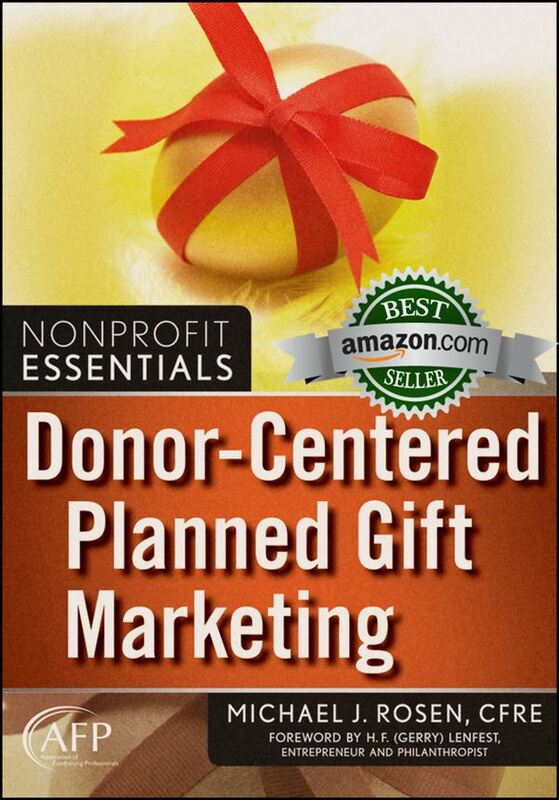 For your convenience, you can make your gift online by clicking here. Never too much chocolate! Seriously, another way to have fun? Sign up to serve on an AFP committee, it’s just about the time of year to do so. You will meet fascinating, talented professionals from around the world, you’ll learn a lot, be able to contribute, and enjoy the ride! P.S. Michael, per your request, I just tweeted out a pic of some of my AFP “stuff”. BTW, I did have a hard copy NSFRE conference program from many moons ago, complete with handouts! However, I gave it to AFP staff as a memento. As Bob Hope would say, thanks for the memories! A fun project indeed. I’ve looked around, and other than some old NSFRE/CFRE certs, I don’t have anything to post. Lost to history. Steve, thanks for trying to find some swag. You’re obviously not as much of a hoarder as I am. But, go ahead and post your NSFRE/CFRE certificate. Why not? Now, having said that, I’m willing to send my never-worn, good-as-new AFP shirt to anyone who makes a new or increased gift of $100 to the AFP Foundation. Otherwise, I guess it will be off to a landfill.